Israel’s Prime Minister has declared that the Golan Heights will remain permanently under the country’s control, during Israel’s first Cabinet meeting held in the territory. “The time has come for the international community to recognize reality, especially two basic facts,” said Benjamin Netanyahu during a Cabinet meeting Sunday. Asking Israel to give the Golan Heights back to Syria is kind of like asking the United States to give Texas back to Mexico. But thanks in large part to pressure from the Islamic world, the UN Security Council remains bound and determined to take that strategically important sliver of land away from Israel. 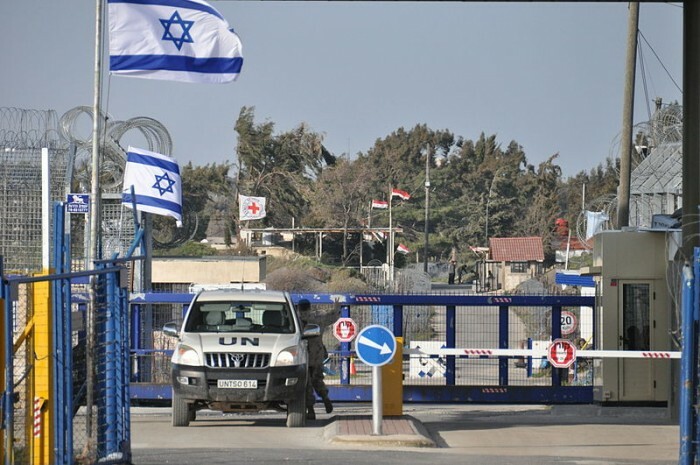 “Council members expressed their deep concern over recent Israeli statements about the Golan, and stressed that the status of the Golan remains unchanged,” China’s U.N. Ambassador Liu Jieyi, president of the 15-nation Security Council this month, told reporters after a closed-door meeting. Council statements are adopted by consensus, which means all its members, including Israel’s ally the United States, backed it. Of course the Obama administration was definitely going to go along with this UN Security Council statement, because it has consistently proven to be the most anti-Israel administration in modern U.S. history. Late last year, there was a lot of talk about a potential UN Security Council resolution which would have permanently divided the land of Israel and the city of Jerusalem and that would have set the parameters for a Palestinian state. At that time, the Obama administration was not quite ready to pull the trigger. Several hundred Democratic and Republican lawmakers are urging the White House not to back any resolution at the United Nations that sets parameters for Israeli-Palestinian talks, a move President Barack Obama has been considering. In a letter to Mr. Obama, 388 members of the House, including Democratic leader Nancy Pelosi of California, said U.S. support for a U.N. Security Council resolution would “dangerously hinder” the prospects of resuming direct negotiations between the Israelis and Palestinians. “We are deeply troubled by reports that one-sided initiatives may arise at the U.N. in the coming months concerning the Israeli-Palestinian conflict,” the letter says. As you can see, even Nancy Pelosi is opposing Obama on this. But will that stop him? Rabbi Moshe Sternbuch,Vice-President of the Rabbinical Court and the Head of the Edah HaChareidis in Jerusalem, paid a rare visit to Rabbi Chaim Kanievsky at his home in Bnei Barak. They are two of the most prominent Torah figures alive today. Conversations between such great men have enormous significance and the Hebrew-language website Kikar Shabbat recorded the dialogue between these two great rabbis. Rabbi Kanievsky said that troubles were to be expected. “It is the days before Messiah,” he explained. The year after the Shemitah on the Jewish calendar ends this October, so until then messianic expectations will be running high in Israel. But at the same time, a geopolitical drama is playing out on the world stage which may eventually result in a great war coming to the land. If the UN Security Council does decide to pass a resolution permanently dividing the land, that is going to cause tensions in the region to go through the roof. In the Bible, we are told that Israel will be playing a central role in the events of the last days, and this is definitely shaping up to be the case. In a recent episode of our television show, my wife and I discussed this extensively. Even though the land of Israel is only about the size of New Jersey, and even though only a tiny fraction of the global population lives there, the attention of the rest of the planet is constantly focused on it. Unfortunately for the United States, the Obama administration has chosen a path that is radically anti-Israel, and that is going to end up having very serious implications for all of us.